Is much of this to be blamed simply on wanting more - and, if so, what can we do about it? In my observation the bulk of our "negativity" seems to come from a dissatisfaction with our status quo. To quote Henry Thoreau: "The mass of men lead lives of quiet desperation." Ironically, this can happen even to wealthy, good looking and talented people, as a quick glance at the celebrity gossip columns will reveal. It seems that whatever we might have, we end up wanting more. "the sorrow inherent in the human condition, the price we must pay for being sentient and self-conscious organisms, aspirants to liberation, but subject to the laws of nature and under orders to keep on marching, through irreversible time, through a world wholly indifferent to our well-being, toward decrepitude and the certainty of death." In this context it is unsurprising that traditional wisdom puts the blame for negativity (and hence, unhappiness) squarely at the feet of desire. It flies in the face of modern life. Yes, it appears that many who eschew the our present societal ideals appear to find a greater contentment than those who follow them. For example, see my articles "Memories of Taiwan: encounters with spirituality" and "Memories of Taiwan: synchronicity". But in the end there is something deeply unsatisfying on an intellectual level about the notion of "eliminating desire". I think this is because at the root of our consciousness is the realisation that we can't all be Buddhist monks. Someone has to grow and harvest crops. Someone has to make tools, products, buildings etc. Someone has to care for, and heal, the sick and injured. Someone has to do all the myriad things upon which we depend in an complex, cooperative society. Moreover, to run such a society (especially in a rapidly changing world with a growing population and threatened environment), someone has to make new discoveries – and do so all the time (in technology, medicine or otherwise). Leaving aside physical necessity, someone has to enthuse, entertain and inspire us - through works of wisdom, art (painting, sculpture, writing, music, performance) and other areas of achievement. In other words, people need to create. They need to excel. Both are fuelled by passion. And passion is, of course, nothing if not a kind of desire. So how can one "square" the preceding observations? We're told (on good authority) that desire is the root of all our discontent. On the other, we know only too well how desire can compel us to great heights. Is there some "middle ground"? You will recall that I previously discussed that it was possible to reconcile a kind of "positive thought" with "skeptical thought"; well, I believe it is possible to do much the same with "desire" and "contentment". Many people in the West have been raised on a Protestant work ethic that esteems enterprise. Being "ambitious" to "succeed" is regarded as a desirable, even noble, trait. In many respects, I don't disagree. But while it is tempting to ascribe "abandoning desire" to some modern "hippy" take on Eastern mysticism, it is worth remembering that this concept is also an element (albeit a rather conflicting one) of the Christian philosophy that underpins most of modern Western society. Remember that Christianity (like the other Abrahamic religions) has a strong culture of "being thankful" (eg: saying "Grace" before a meal). Even we atheists who come from a Christian background will speak in those terms. 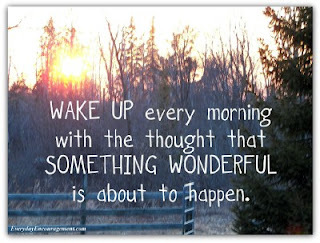 We will "count our blessings" and "thank God" for any number of good things in our lives. Without wanting to detract from Nick's inspirational message, I would say that it doesn't come down to "thankfulness" – at least not exactly. Instead I would say it comes down to appreciating what you have. The difference is subtle, but significant. I can see why Nick would have his own preference for referring to "thankfulness": he is a deeply religious man. However, I am not. Accordingly I don't see it so much as a matter of "thanking" anyone (or anything) for something I've been "given" – but rather recognising and appreciating what I happen to have, however it came to be in my possession! When it comes to contentment, there is nothing wrong with wanting more. It's appreciating what you have that makes the difference. Sometime in 1994 I was travelling up to the small town of Derby in our State's far northwest to conduct a prosecution. On the way back my flight stopped off in Broome where I had a couple of hours to kill. There I had the pleasure of meeting a man who has left a lasting impression on me. He was named Clare St Arnaud: a native American, in his mid-50s, about 6'6", well-muscled and wearing a Stetson with a cavalry insignia displayed upside down (in protest). We started a conversation that lasted until we were both in Perth many hours later (we moved seats on the plane so that we could continue our chat!). It turned out that Mr Arnaud was a professional ultra-distance triathlete – then ranked No. 3 in the world (despite his relative maturity in age!). He was a many-time veteran of the infamous Ultraman event; a competition held over 3 days on the Big Island of Hawaii (with day one comprising a 6.5 mile ocean swim and 90 mile cycle, day two comprising a 171 mile cycle, and day three comprising a double marathon (52.4 miles)). 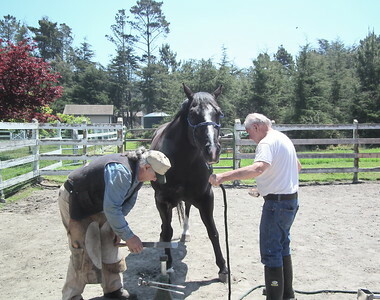 Before that Mr Arnaud had led a varied life, going from a corporate executive, to working as a farrier on a native American reservation, to being a fitness consultant to Biosphere 2 and then, in his middle age, competing at a world-class level in one of the most grueling sports imaginable (and now, it seems, to being a farrier again!). In our discussions I remember complaining to Mr Arnaud about my job – and almost immediately voicing guilt about it. As I said: "I have a lot to be thankful for." "There is nothing wrong with wanting more. Just don't let it take away from what you already have." It has taken me 18 years to realise the full import of what he was trying to tell me. I've spent all that time suppressing some level of subliminal guilt at not being "thankful" enough - just because I wanted to do something else with my life than be a court lawyer. And it's easy to feel that way when you watch a Nick Vuijcic video - particularly when you have a career of which many in the First World (never mind the Third World) would be envious. In the end, I believe what Mr Arnaud was telling me was this: Wanting "more" needn't involve devaluing what you already have. 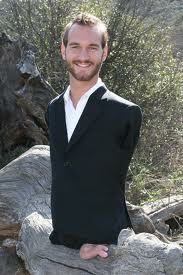 Using Nick Vuijcic's own calculus, it was pointless for him to "wish" for arms and legs, because that could never happen – it was physically impossible. But clearly Nick could "wish" for things that were possible: he could wish to go on speaking tours; he could wish to write books; he could wish to get married, etc. And "wishing" these things didn't mean he had to spend time moping around and generally feeling negative until they happened. He could both "wish" and "be happy" at the same time. The notion that one necessarily excludes the other is a false one. 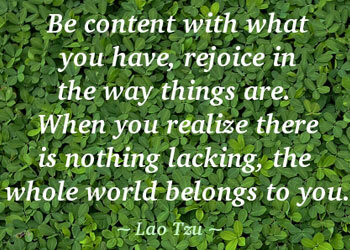 Clearly most of us (particularly in the privileged West) can and should be happy and contented with how things are. But wanting more is not a mark of ingratitude nor unhappiness. Rather, it should be a mark of optimism. If the more "happens", then that is fantastic. If it doesn't everything is still fine. Put simply, your happiness shouldn't depend on what you want (or even what you already have).4 Rather, it should depend on who you are - right here and right now. So who are you? Are you a positive and contented person - or a negative, dissatisfied one? And is there any benefit to being the latter? A student of mine has spoken to me of the power of "negative fuel" - driving yourself forward with dissatisfaction. This can seem to be an attractive formula, particularly when it has yielded results in the past. Fear, anger, unhappiness, self-criticism - these can all serve as powerful motivators. However as a philosophy of life I hold this to be manifestly flawed. For one thing, it goes back to my previous essay: if you are constantly thinking negatively about yourself, then you are putting obstacles in your own path. It is true that this sort of thing can temporarily motivate you: the added obstacles of your own mind add "urgency" to the situation and help you overcome your natural tendency to laziness, apathy and general inertia. You're adding "virtual obstacles" - ones made in your own mind. In this regard, your negativity is hardly a manifestation of "banishing self-doubt"! Even if this serves as a temporary motivation tool, it unequivocally adds to your load. You really need to find a more productive way of motivating yourself than this; it is simply not efficient. Moreover it unsustainable. You can kid yourself that adding extra stressors isn't doing you any harm, but your body will eventually tell you differently; living in a constant state of dissatisfaction has more physical effect on your health (mental and physical) than we might be aware (and contrary to what we might think in our "indestructible youth"). Imagining that you can "cope" with the psychological "fall-out" is all very well (in the longer term, I don't think anyone can). However it is important to remember that stress is a physical process as much as a "psychological" one - the dichotomy of "mind and body" is totally flawed. You are one organism - and every "negative thought" is actually an electrochemical process in that organism - and one that affects it directly and in a bad way. It is all very well to use "negative fuel" in order to prepare for brief moments of "glory". But if you look back on your life and the vast majority of it has been spent in abject misery so as to fuel these (relatively discreet) "moments of glory", how can this make sense? Far better then to find some "positive fuel" for your goals - "fuel" that makes life wonderful in between any brief "moments of glory". After all, life is a journey - not a destination. Defining your life by reference to goals misses this point. So imagine for a moment that you wish for a particular outcome (eg. to find a girlfriend, make some money, paint a picture, write a novel, get your black belt, etc. ): how can you go about wishing for it in a productive way? I'm suggesting that rather than wishing for the outcome as a necessity, you should simply wish for it as a bonus. Clearly, if you invest emotion in a particular outcome, you will be disappointed if it fails to materialise. But if you wish for something without any such investment, you have nothing to lose. The likelihood of the outcome is irrelevant. This doesn't mean that your passion and effort should be somehow "reduced": if anything you should pursue your goals with even greater vigor! It just means that you should do so with a smile, not a frown. Put another way, "wanting more" need and should not manifest as "negativity". Rather it can and should go hand in hand with banishing such negativity. In this form, "wanting more" is not only unobjectionable - but it is desirable. First, you have nothing to lose. 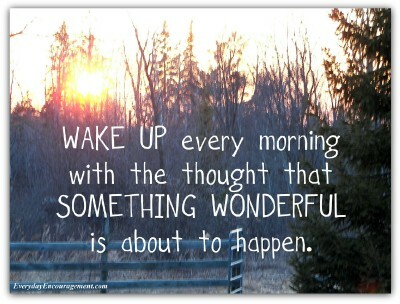 Even if the outcome you want is both vague and unlikely (eg: "Something wonderful is going to happen today! "), you can still wish for it with a quiet optimism. If it happens, this is excellent. If not, so what? Second, you have everything to gain. You're not adding extra obstacles in your own path and unnecessarily burdening yourself with stressors. You're certainly not dejectedly giving up before you've even started. In other words, you're giving yourself the best chances of achieving your goals. And even if this does not yield any "wished outcome", you've still been happy in the moment. 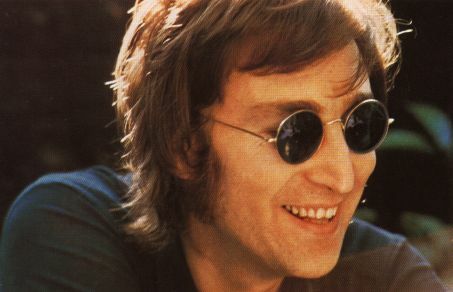 Remembering John Lennon's words, the act of "being positive" in your daily life is ultimately its own reward - as well as the ultimate self-fulfilling prophecy. It is no doubt true that you can achieve happiness by eliminating all your desires. That is one (rather drastic) way of going about things. 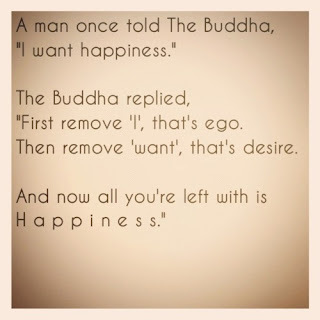 Another way to do it is to make your "desires" independent of your happiness. I think the latter is eminently more achievable by the ordinary person today than former. So value what you have: don't let unfulfilled expectations define your present. You can do without that negativity. But by the same token, don't let self-doubts stop you pursuing whatever it is you want to do. Because this gives in to a different kind of negativity: one that lets self-imposed limitations map your future. This might all seem like a very fine line to tread, but I believe it is possible to do. As you tread that line, be wary of those who dismiss your dreams by reference to "thankfulness". They are usually well-intentioned: often they just don't want you devaluing what you already have. But more often than not, I've found that they are simply projecting onto you their own limitations (objective or subjective). And if they refer you to that "Buddha quote", give them the adjacent one I just made up in reply! 1. I have previously written of the Dunning-Kruger effect; many capable people's self-image is drastically lower than what it should objectively be. 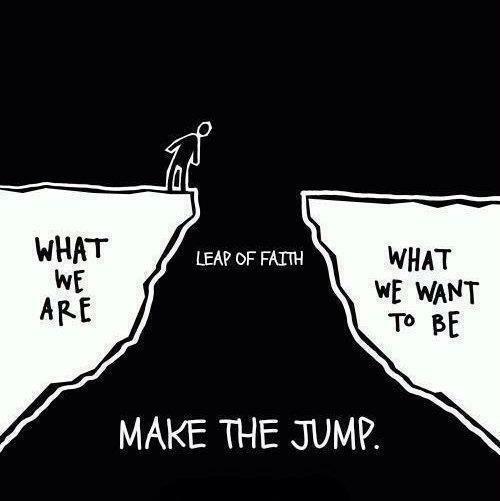 This illustrates the reality (and enormity) of "creating your own obstacles" with self-doubt. 2. My article "Banishing self-doubt" was meant to be a "celebration" of positive thinking. But I am acutely aware that it probably didn't come across that way. And there is a good reason: I spent a lot of time dealing with the "logic" of being positive – not with reinforcing the message that one needs to be positive. But I am not going to be apologetic about that. To me, understanding why one should be positive is more important than any "feel-good" meme that repeats this statement as a kind of mantra. And understanding how one should go about differentiating appropriate self-confidence from dangerous self-delusion is far more useful. So rather than simply add t the chorus of "positive messages" I want to probe a little deeper – to get beyond the temporary "fix" people have with "pick me up messages". If I can, I want to get to the heart of the matter! 3. Many people think this parable comes from the Christian Bible. It does not. In fact it seems that this is an old Persian tale that entered our lexicon via Islam. 4. My friend Jeff points out that even "what you've got" can be taken from you at any moment. "If you crave, desire, and covet the things you already have, there is suffering when they're taken away. Peace is found when you can appreciate the things you have, but without grasping as if they are yours to keep." It kinds of same thing when ppl learning martial arts or kung fu, 1st when we young & fool we always seek strengh or desire to be strong. However overtimes we always find there are always someone stronger or old words say there are always higher mountaines to be climb. Yes, the longer I train the more my motivations (desires and goals) change! Thanks for reading and commenting. 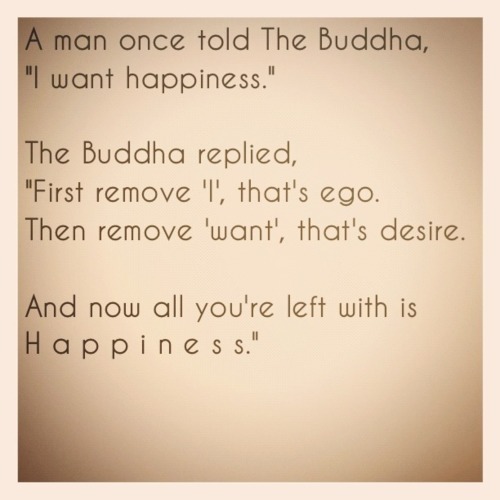 "Happiness is not achieved through the fulfillment of ones desires, but by elimination of desire"